As a homeowner, it’s nice to have a space where you can enjoy outdoor scenery with protection from bugs, rain, and uncomfortable temperatures. On the other hand, there are times where it feels great to relax on an open patio where you can experience a fresh breeze passing through. 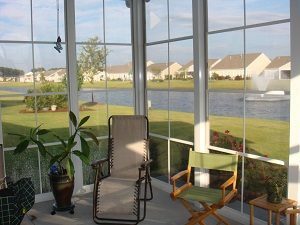 While you would traditionally have to choose between these two options – an enclosed patio and an open one – Express Sunrooms offers a way for you to enjoy the best of both worlds. Our Express Porch Panels allow you to open up or enclose your patio at will so that you can use your space exactly the way you want in a given moment. 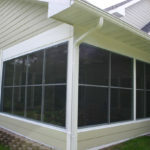 As already indicated, Express Porch Panels give you the option to open up your enclosure to the outdoors. You’ll get to decide how this will work. We offer panels that slide up and down, and others that slide left and right, and the choice of which is best for your home is entirely up to you. Especially when pets and small children are around, accidents are bound to happen. Rather than having your enclosure crack or break when struck, your Express Porch Panels will flex as needed and then return to their original position. It really is amazing the level of use and abuse they can endure. 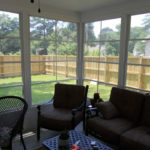 Express Porch Panels cost significantly less than glass enclosures, making them an excellent choice if you’re looking to expand your living space while still staying within a limited budget. Ready to take your enjoyment of your home to the next level? 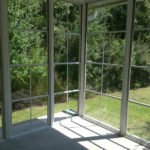 Contact Express Sunrooms today to receive a free price quote for having our Express Porch Panels installed.